I am pleased to announce that the party symbol for the Progress Singapore Party has been approved and I am delighted to share it with you. 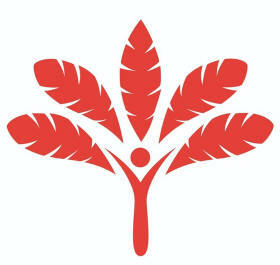 Our Party symbol is in the form of a palm tree signifying growth, purpose, strength and life. The tree has 5 fronds and the trunk is in the shape of a person. The person-shaped trunk represents the Party’s belief that people are its core interest and source of strength. The 5 fronds represent the 5 ideals which the Party subscribes to: Democracy, Equality, Justice, Peace & Progress. They also represent our multi-racial and inclusive society consisting of the 4 racial groups and new citizens. Our Party colours are red and white. Red symbolises life, passion, energy and strength. White symbolises purity, integrity and goodness. The Progress Singapore Party looks forward to serving the people of Singapore and will work hard to fulfil the ideals to which we subscribe. *Facebook post by Dr. Tan Cheng Bock. Let’s welcome Progress Singapore Party into Parliament. In fact welcome all Opposition Parties into Parliament and farewell of PAP. This is my bucket list. wishing the PSP and all opposition parties a huge victory at the coming GE. Now it is time for PSP to send a team to contest AMK with the objective of getting rid of the Clown. One point I forgot to mention. The Clown’s appearance at the Botanical Garden was to show that he was a “man of the people” complete with holes in socks. That is the image he wants to put across. But don’t be fooled, the Clown is anything but a “common man”. He knows it and expect you to know it too. The Gurkha contingent is there to provide personal service to him and the elites. This is because he does not want what happened to Indira Gandhi to happen to him. Clown most likely feels ashamed after mixing with $G locals like that. The old man will never forgive him for being ‘cheap’. fook me huh will be kicked out by PSP this GE. sgs are tired of FAKE MPs! time for REAL MPs now!!! CHEAP publicity and stunt. Previously it was standing behind a LOONG queue rubbing shoulders with the common folks for Fried Chicken Wings! Now it’s Rubbing shoulders and FEET with the TARGETED folks in the Botanical Gardens. Mind you, the TARGETED folks are most likely those(incl FTs and newly minted citizen) with reasonable and high paying jobs people who have SPARE time for weekend outings and Leisure with family members. You won’t find common folks in this kind of environment, maybe few and far between! Most of the common folks will be working on weekends and some also joining the LOONG queue for their favorite Chicken Wings at AMK Hawker Centre! Expect more CHEAP publicity and stunts in this year General Erection rallies! yes sent a suicide squad please. tcbok will be so naive after having so much life experience both in politics and in life. If opposition parties can’t get along they form another party. If elected can they put aside their differences to do the right thing for $G? Are the oppo parties going to vie with each other for votes? At the end pappy wins the seat. Clear this point first so the people feel there is no problem with you guys working together. This is not the UK or US or even India. How are all the various oppo parties going to support each other? Agree. Well said. It shall come to pass. But don’t fight to enter parleeement. Fight to topple pap to rename parleeement back to parliament and to form New Government so that pap clown and wife and S$m gang of parleeement approved thieves can be investigated and indicted, just like najib and wife. Thank you Dr Tan ! GOD Bless you and Singapore ! Finally,….there is Hope to see Daylight ! P.s.p.= Practical,Sincere,Progressive…thats what serving people means ! I suggest to leave AMK GRC alone, let the Clown be in Parliament to answer all the screw up he had done, maybe we can recover some $$. Come contest in Holland Bukit Panjang. Dr. Tan, you have come to a milestone! Next, you need to attract and regroup good and talented citizens to your party. As you said last October, one must have the country at heart to serve S’pore. Well, you have very little time before the GE expected after the National day. The Pap is watching you closely so don’t allow them to catch you off guard! Start your walking and make you and the party’s presence known! PSP party symbol looks nice, recognisable and pleasing to our eyes, unlike the one with a bolt of lightning which ppl worry might strike them in the rain. Yes, it’s good to be eveready ! I think now the election office ppl could be gerrymandering the boundaries behind us. The oppos have no choice as this is done unilaterally, right ? Democracy, Equality, Justice, Peace & Progress.?!!!! Democracy = The Bible = Christianity = A Religion. They need to properly define what is “democracy” before listing it here. e.g. Meritocratic-democracy or liberal-democracy or hereditary-democracy or what?